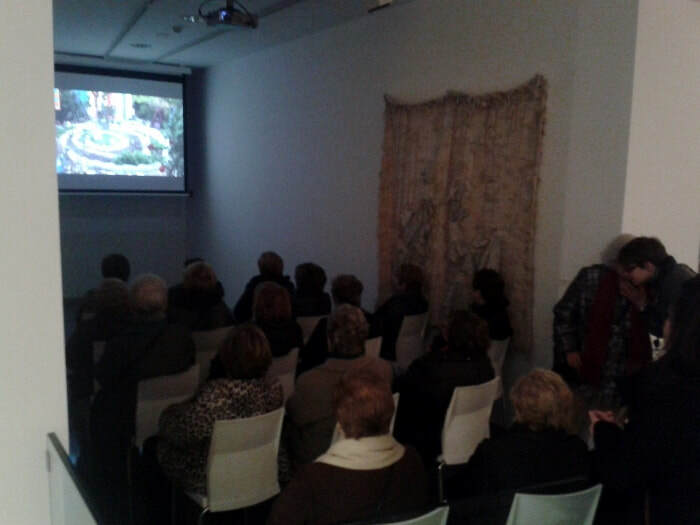 The Lleida City Council House of Women on Wednesday to participated on Wednesday to in this guided tour of the exhibition and Grau-Garriga in Memoriam Workshop “The process of tapestry” the Foundation Vallpalou. This visit is part of the monthly workshop program Activate the place, the city with the eyes of the women, who aims to promote women’s access to city amenities with a view to the presence and the historical role of women. At this time, the visit to the exhibition Grau Garriga In Memoriam,curated by Vallpalou Foundation, will allow participants to explore the creative work of Catalan artist Josep Grau Garriga, who was director of the Catalan Tapestry School and exhibited his works worldwide. ​Similarly, participation in the workshop “The process of tapestry” will feature Edith Schaar and collaboration of students from the artist’s Blue and members of the Association, which aim to spread the art social tapestry as art.